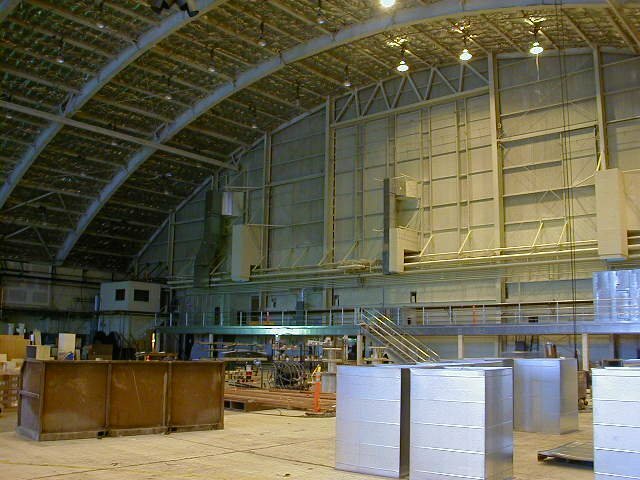 JBER Upgrade Hanger 1 Rehabilitation | Engineering Design & Consulting, Inc. Provided mechanical and electrical design services for a design-build project to upgrade Hangar 1 which housed Elmendorf’s F-15 fighter aircraft. The project included conversion of the heating system from central steam to natural gas fired boilers. HVAC for two office wings were completely replaced, while a third office wing and the hangar bay were upgraded with new ventilation systems. The electrical system was completely replaced, and new communication and security systems were installed.